Published October 27, 2017 at 4529 × 2974 in Home. 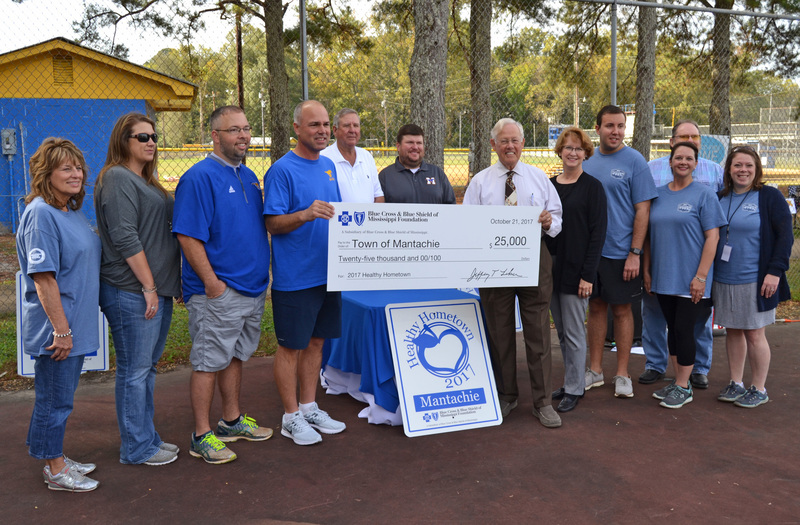 HEALTHY HOMETOWN GRANT – Mantachie officials and members of the town’s volunteer Healthy Hometown Committee are presented with a novelty check for $25,000, Saturday, by Blue Cross & Blue Shield representatives Dr. Ed Hill, Shelia Grogan and MeLisa Stewart — fifth, sixth and first from right, respectively — for being named one of the organization’s “healthiest hometowns” for 2017. The grant money will be used to make significant upgrades to the town’s park, including the addition of a new farmers market.